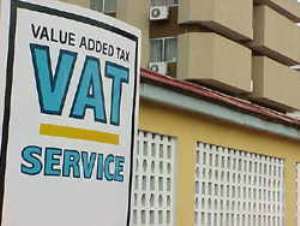 The Minister of Information Nana Akomea has conceded that the 2.5 percent levy on goods and services for the health insurance scheme is Value Added Tax VAT. Answering questions on JoyFM - a local FM station, the Information Minister agreed to the widely held opinion that the 2.5 percent levy is essentially an increase in VAT. Till Mr. Akomea's admission, officials at the finance ministry had insisted that the new levy was just a contribution from the public to support the health insurance scheme. When the Information Minister was asked why his colleagues would not accept that the levy amounted to an increase in the VAT, he said one could decide to see the levy differently because some goods and services that attract VAT would be NHI levy exempt. However views sampled by JoyNews Wednesday on the levy showed that most people were more concerned about the impact and purpose of the levy and not the name.